I always have a small army of home fragrances (sprays, candles, etc.) at my disposal to keep any unpleasant odors at bay. It's mostly made up of products from Zen Zest since I love the different scents they have to offer and just how affordable they all are. 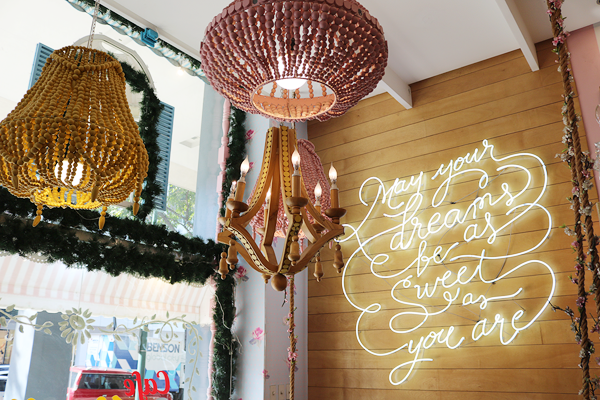 Of course this meant I was super excited to attend yet another scent-sational Zen Zest launch at Vanilla Cupcake Bakery to see what new products they had to offer! First of, can we just admire the interior of the place? 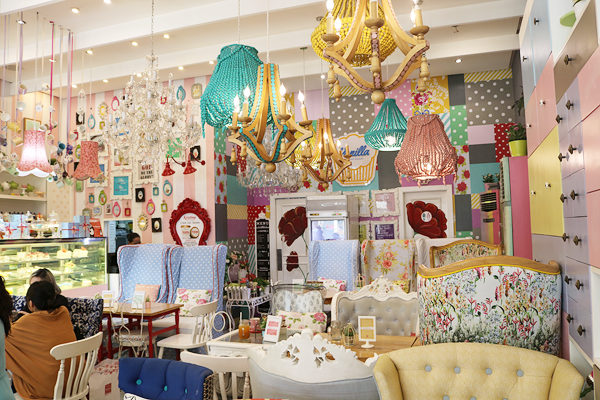 It's a great mix of quirky, cute, and colorful. It's super cozy inside too and I love the comfy chairs. Of course, the place smelled divine thanks to Zen Zest! 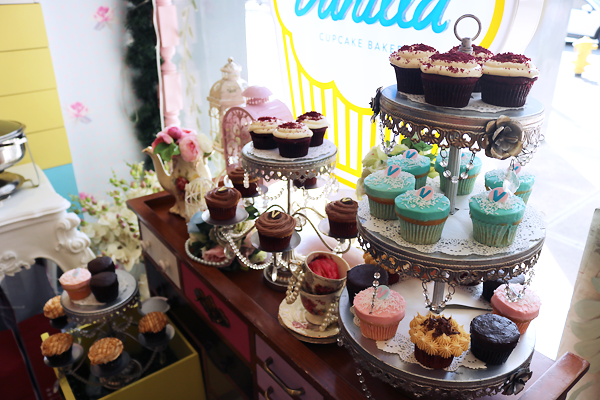 Along with refreshing mugs of iced tea and chocolate lattes, lots of different cupcakes were laid out for us too and they were super delicious! My favorite has to be their vanilla and red velvet ones. 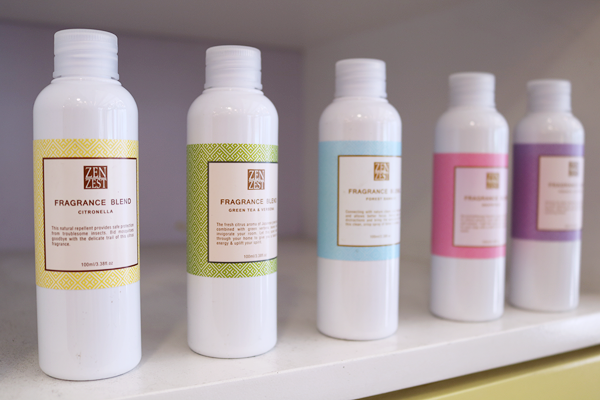 The star of the show was Zen Zest's new Fragrance Blend collection - eight concentrated scents that are best used with Zen Zest's own electric scent diffuser or air purifier. Each Fragrance Blend retails for Php500.00 for 100ml bottles. 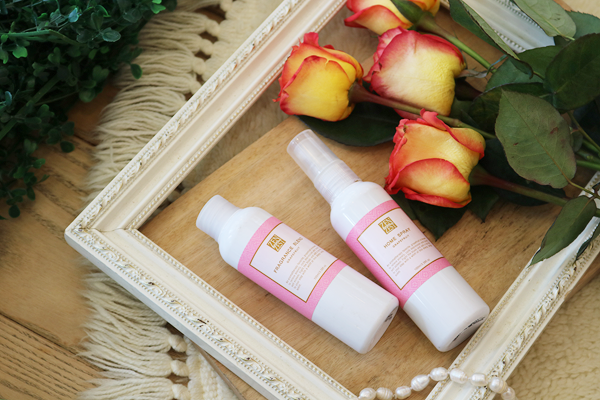 Every Fragrance Blend has its own Home Spray (Php300.00) in the same scent so you can choose whether to use a particular scent with the diffuser or to just spray it around your home. I, personally, like to use the diffuser for my bedroom and the sprays for everywhere else. Let's take a peek at some of the products from the collection, shall we? Green Tea & Verbena - The fresh citrus aroma of Japanese green tea combined with green verbena leaves will invigorate your room. Let this scent waft through your home to give you a boost of energy and uplifts your spirit. Grapefruit - Start your day with the sweet, citrusy scent of grapefruit. This fruity fragrance stimulates the mind and body so you can fight mental and physical sluggishness. Forest Bamboo - Connecting with nature clears your thoughts and allows better focus. 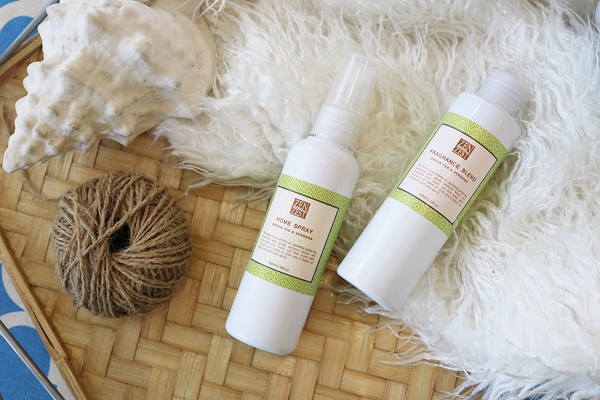 Sweep away all distractions and bring the outdoors in with this clean, crisp spray of forest freshness. Citronella - This natural repellent provides safe protection from troublesome insects. Bid mosquitoes goodbye with the delicate trail of this citrus fragrance. Kitchen fragrance in 'Choco Cappuccino' (Php300.00 for 250ml) (Limited Edition) - Home cooked meals wafting from the kitchen is a welcome smell, but not after 5 hours! 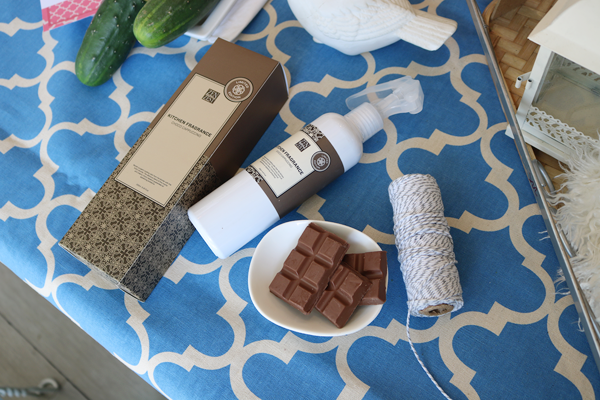 Eliminate after-cooking or frying odor with this delicious blend of exquisite mocha and rich hazelnut. Makes your home smell like a quaint coffee shop. The perfect scent for coffee lovers! 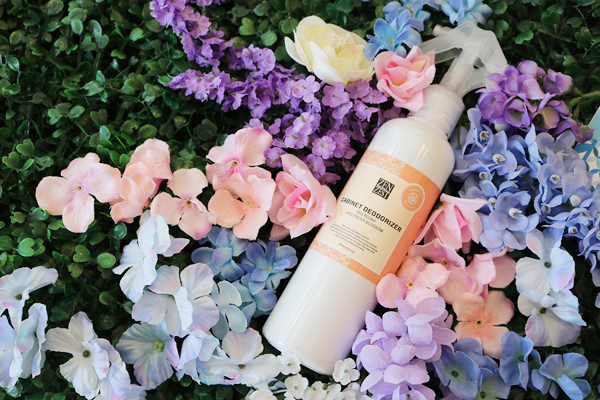 Cabinet deodorizer in 'Iris Peony & Fresia Blossom' (Php300.00 for 250ml) - Behind every nook and door in your home, holds a surprise! Let the fresh and floral scent of peony, iris, and fiesta blossoms greet you at every turn. Perfect for cabinets, toilets, curtains, and rugs. 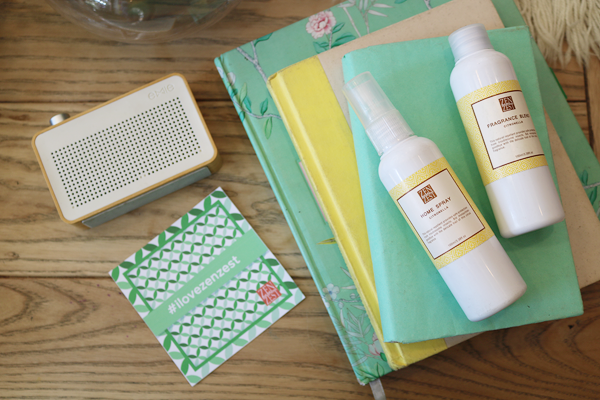 Like I mentioned earlier, Zen Zest's new Fragrance Blends are best used with either their Air Purifier (left) or the Electronic Diffuser (right). 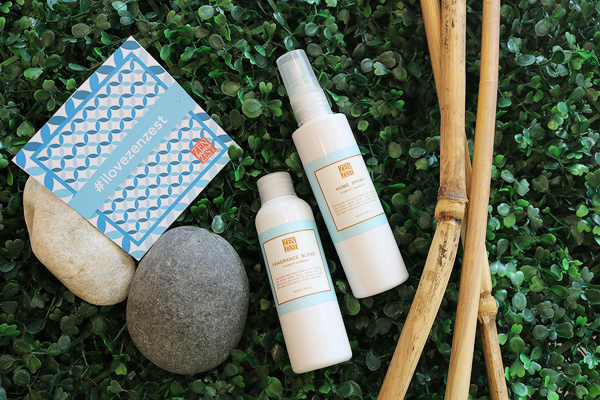 Both models retail for Php1,500.00 each and come with one free Fragrance Blend upon purchase. Here's my very own electronic diffuser that I got customized at the event. I love it! The diffuser is easy to use. You just fill it with water, a tiny amount of your choice of Fragrance Blend, and turn it on. The calming (optional) lights change color as the diffuser releases the aroma. Currently I'm using the Rose Petals, Orange, and Musk variant with it and it quickly makes my room smell divine. Almost like a spa! Sometimes I'll place the diffuser in the living room and use the Fragrance Blend in Citronella to not only make the space smell lovely, but to keep pesky mosquitoes at bay! Oh, both the air purifier and diffuser also act as humidifiers. It's perfect for those who easily suffer from illness due to low humidity and helps relieve nasal congestion, sinus irritation, etc. Since my air conditioner is running all night while I'm sleeping, it tends to make my skin extra dry in the morning. That's why I switch on the diffuser just before bed to prevent that. Plus, the lights act as a pretty night light! If you're energy conscious, don't worry. It has an included timer you can set. Have you tried anything from Zen Zest? 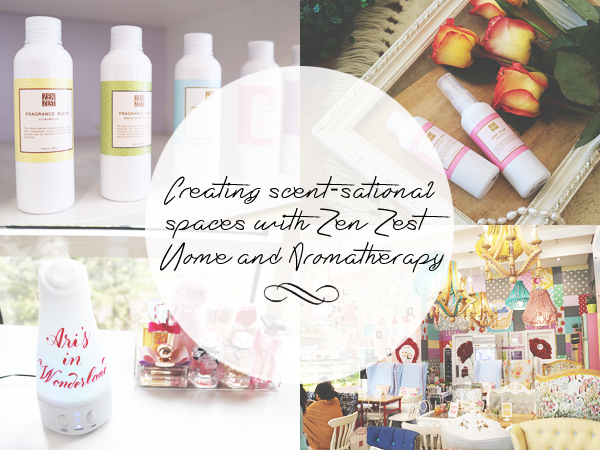 What's your favorite Zen Zest product/scent? Are you planning to try out their new, electronic diffuser and/or Fragrance Blends as well? For inquiries and more information, contact Zen Zest’s marketing officer, Jericho Nepomuceno, at ecko.zenzestasia@gmail.com or +639175934740. Disclaimer: Some of the featured product/s were given or provided to me by the named company or a representative of the company for review purposes. Any opinions given on said product/s are entirely my own and are honest and unbiased.